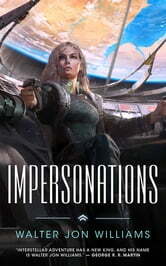 Nebula Award-winning author Walter Jon Williams returns to the sweeping space opera adventure of his Praxis universe with Impersonations, an exciting new novel featuring the hero of Dread Empire's Fall! 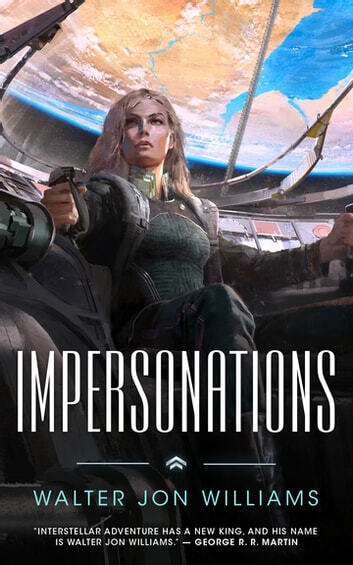 Having offended her superiors by winning a battle without permission, Caroline Sula has been posted to the planet Earth, a dismal backwater where careers go to die. But Sula has always been fascinated by Earth history, and she plans to reward herself with a long, happy vacation amid the ancient monuments of humanity's home world. Sula may be an Earth history buff, but there are aspects of her own history she doesn't want known. Exposure is threatened when an old acquaintance turns up unexpectedly. Someone seems to be forging evidence that would send her to prison. And all that is before someone tries to kill her. If she's going to survive, Sula has no choice but to make some history of her own.